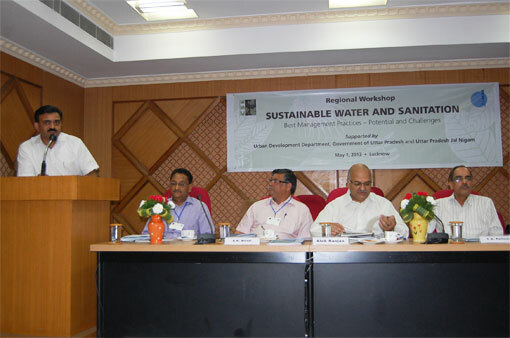 Centre for Science and Environment (CSE) organized a one day regional workshop on ‘Sustainable Water and Sanitation: Best management Practices’ on May 1, 2013 at the Naveen Bhawan, UP Housing and Development Board (UP Awas Evam Vikas Parishad) , Lucknow, Uttar Pradesh. This workshop is part series of workshops being organised in different parts of India by CSE to assist the Ministry of Urban Development, Government of India. 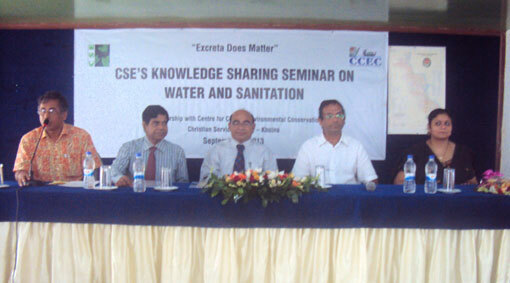 CSE organised a seminar on water and sanitation in partnership with Centre for Coastal Environmental Conservation, a Khulna based NGO.